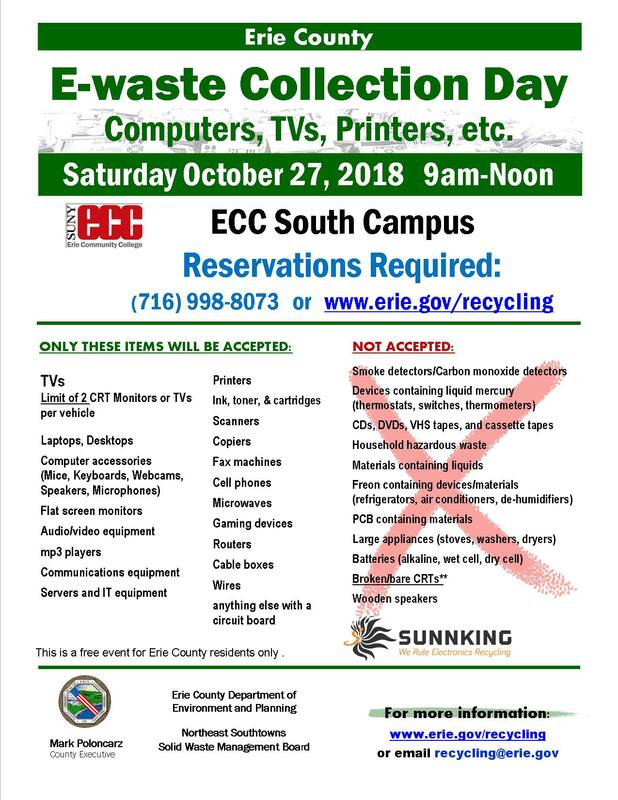 Electronic Recycling at ECC South: October 27th from 9am-noon. Reservations are required. Click here for more information.